Siomai, the traditional Chinese dumpling many Filipinos love to eat especially during merienda time, is not a healthy food, a doctor said. When I was young, this was my favorite food. But when I found out the ingredients, I knew that it was not healthy. You may still eat Siomai from time to time. But don’t eat it everday. 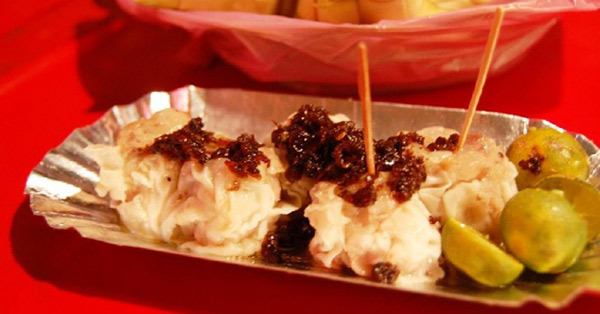 Four pieces of siomai contains 400 calories, which is like one full meal already. Pork Siomai contains 30% pork fat, to make it soft and tasty. The rest is ground pork and extenders. Siomai needs the FAT to make it soft. Frying Siomai raises it to 600 calories. Two piece of siomai is equivalent to eating a cup or rice. Eating pork fat (like Lechon) has been associated with heart attacks, high cholesterol and cancer. Therefore, Siomai and rice is not a healthy meal. Choose real protein like fish or chicken without skin. Eat more vegetables and fruits. Do you eat siomai often?